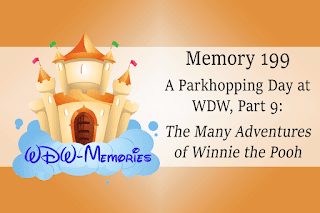 Well hello and welcome back to the WDW-Memories Podcast. I just have to say spring always makes me want to head to Florida for time in Walt Disney World, but it's just not in the cards right now. At least we can escape with our memories, but before we do, I want to just say thank you to our growing Patron Supporter group. They have received 2 bonus memories from my trip aboard the Disney Dream since our last podcast episode. Plus I have begun re-editing previous memories without all the extra talking or requests for donations and have been trying to add a couple of those to their collection each week. 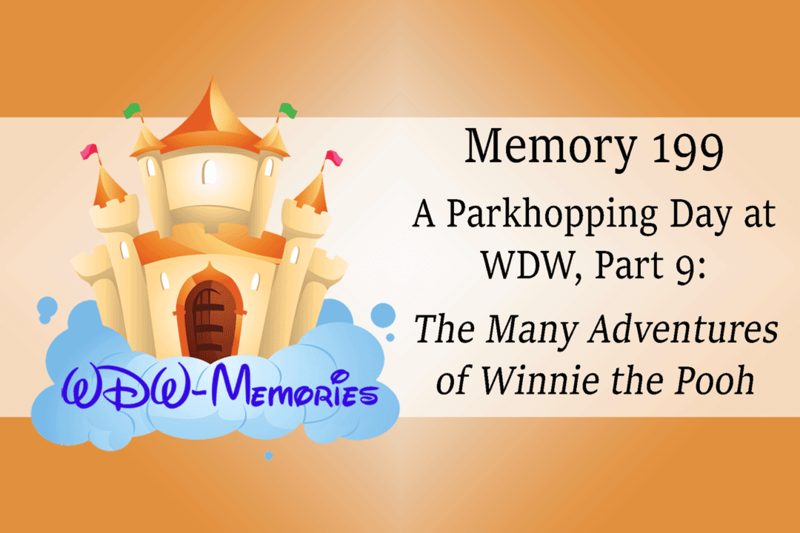 You can still join at any time and begin receiving your bonus memories too by going to Support.WDW-Memories.net. Now, as you'll remember from last time, it's a very warm summer morning in September 2017. My family and I just finished riding the Seven Dwarfs Mine Train after what turns out to be one of our longest waits of the day, and we are now walking across the way to catch a ride on The Many Adventures of Winnie the Pooh. The lines are a little long still (about 15 minutes), but we'll cut some of the queue time out so you don't have to listen to all the clacking and buzzing going on in the queue line. As we near the front, we decide to the let the kids ride by themselves in the front of the car, and we'll be behind them. It's a relaxing and uneventful ride in the wonderful air-conditioning, and then we're back out front where we started and are off on another adventure. I still love what this dark ride can do, and the bouncing just adds that kinetic energy that is often missing from a dark ride. Now sit back. Relax. Close your eyes. And come with me as we travel through The Hundred-Acre Woods in a Hunney Pot as we experience the many adventures of Winnie the Pooh.